Our straight out of the Jungle Tropical Foliage Bouquets are your answer for quick and easy flower decorations. Just cut the stems and drop into your favorite containers for a professional floral designer look. Use the already made Tropical Bouquets to decorate a wedding reception or corporate event. These Exotic Tropical Foliage Bouquets will save you time and money on your next big event. 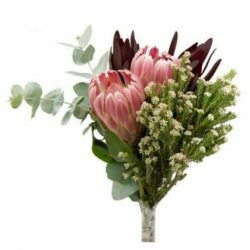 Buy Wholesale Bulk Tropical Foliage Bouquets Online.